I'd like to introduce you all to Foreshadow: A Serial YA Anthology, a unique new online venue for young adult short stories, with a commitment to showcasing underrepresented voices, boosting emerging writers, and highlighting the beauty and power of young adult fiction. Each month this year we will publish an issue featuring three stellar young adult stories -- original work from acclaimed writers and new voices who have been specially selected by your favorite authors. For example, this month we have stories from New York Times bestselling author Courtney Summers, award-winning author Brandy Colbert, and Maya Prasad (a new voice selected by New York Times bestselling author Cynthia Leitich Smith). Our next and final deadline for submissions is April 1, 2019 and we are especially looking for stories from people of color and Indigenous writers; LGBTQIA+ and gender diverse writers; writers with disabilities; and religious, ethnic, and cultural minorities. 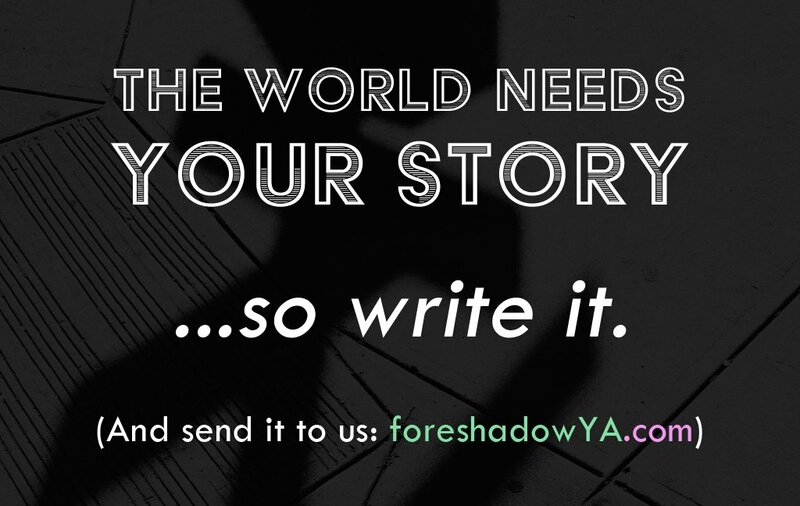 I'm part of the editorial reading team for Foreshadow and I'm really looking forward to reading your work!